In a sleek chrome finish, this two-light bathroom vanity light will offers an undated contemporary style. Classy design, positive reviews, perfect shape and size for my guest bath. We love the contemporary look of this light fixture and selected it for our new half bath. Matches the larger 5 bulb I ordered. 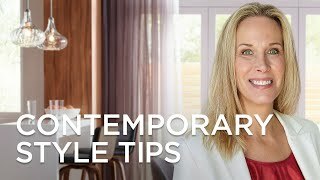 It is modern for a new look over a modern mirror for a bathroom. Saw it in person and really liked the uniqueness of the design. It is glass too. the bulbs can be changed out to G9 LED. It comes with high heat halogen. I've seen this design recently in a commercial installation. It reads modern, cool, industrial and yet still elegant. we like the contemporary look/style of this vanity light. Simply gorgeous design with such elegance. why is it advised to have 3 inches clearance above and below the light? BEST ANSWER: I am sorry, I do not see that spec listed for this bathroom light. This measures 14 1/2" wide x 5" high. Extends 6" from the wall. Each glass shade is 4 3/4" high and wide. Wrapped wire inside is 3" high x 3" wide. Aesthetics. It’s gorgeous! But it’s a bit of a presence. Is the two-light fixture dimnable? With both halogen and led bulbs? BEST ANSWER: Yes, this is dimmable using either type of bulb. I am very pleased with this light fixture. Pretty above the vanity mirror. Did not notice installation if it could be dimmed. Does this light fixture give off much light? Also, does the light reflect a shadow of the metal wires that are on the fixture, all across the room? BEST ANSWER: I installed this light in a small bathroom and the light is sufficient. I do have a secondary light in the bathroom, but I rarely turn that one on. It casts some shadow on the ceiling and the wall that is right next to it - it's over the vanity that is in the corner - but not across the room. It's a beautiful fixture - I love it! I've been thinking about getting the larger ones for my other bathroom. I am very pleased with this fixture. It gives plenty of light and I doesn't reflect any shadows. It is installed above he mirror of the vanity. Very attractive. Yes this light is beautiful and gives off enough light for a very big masterbathroom. No - there are no shadows from the wirestructure. Is this rated for damp or wet locations? BEST ANSWER: Hi - This is rated for damp locations. Could the two-light model be hung vertically?? Wondering if the globe portion can be turned for vertical hanging?? BEST ANSWER: Yes, I Purchased two for over my vanity in my master bath. I hung them vertically and they look great, I love these lights and they work great on a dimmer, Now I have a mood lighting in the bathroom, very relaxing for bathtime. Probably would work fine. The globe portions can be turned, and you could easily change the orientation. is there a companion piece for the ceiling light? BEST ANSWER: Hi, I have included a matching ceiling light. Fixture T8951 Does the base come in come in anything other than polished chrome? BEST ANSWER: Hi - I am sorry, there are no other finish options offered in this collection. BEST ANSWER: Hi Mike - this includes halogen bulbs, but you may use LED bulbs. No. It Includes two 60 watt G9 halogen bulbs. Can this fixture be attached to a tile wall? BEST ANSWER: Yes, the light can be attached to a tile wall. Does this have to be mounted to an electrical box or can it be screwed directly to the wall? BEST ANSWER: It is recommended to mount the light to an electrical box. I had the unit put in by an electrician. I believe it does need an electrical box. Can the mounting plate I'm the back be adjusted? BEST ANSWER: Hi - not sure what you mean by adjusted. If you mean shortened or made longer then the answer is no. If that didn't answer your question please contact one of our lighting specialists at 800-782-1967. They can provide an answer for you or help you find a design that meets your needs. I am not 100% positive but I believe the answer is no. this is an elegant, beautiful light that casts wonderful shadows and updates our bathroom perfectly. 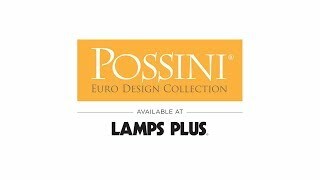 this is the second possini light we have purchased and it did not disappoint. i love everything about it. thank you! Ordered this in the store and it arrived quickly. My contractor installed it a few days later and I couldn't be more pleased. I chose to install 2 of the 14 inch lights, one over each sink of a double vanity. There is more than enough light and it looks amazing. Delivery was quick. One of the glass cylinders came broken but I called and a new piece was sent out. Everyone at Lamps Plus was very helpful and great to deal with. We bought two of these lights to flank an oversized mirror that hangs above a double sink vanity. They totally update the space and add a contemporary feel. Great quality, pretty and functional. If I had to pick a con, it would be that the glass fixtures turn and need to be adjusted each time you clean them. This fixture dresses up our powder room. I love this light! It adds a touch of elegance to my small master bathroom. It was the easiest light that I have ever hung. I bought three of these lights for our bathrooms. They are easy to put together and look lovely when installed. Quality purchase. This light fixture is really beautiful. I'm thinking about getting the bigger ones for my other bathroom. It was not hard to install. We love this light. It looks beautiful in our bathroom. Reason for the 3 rating: Very nice looking, BUT very poorly engineered for hanging it ourselves. You have to turn inside unit sideways while putting in tiny bulb. The screws were too short and hard to manipulate while hanging. Needed to go buy longer screws. Very frustrating!! The previous Possini units we bought were much more sensible.